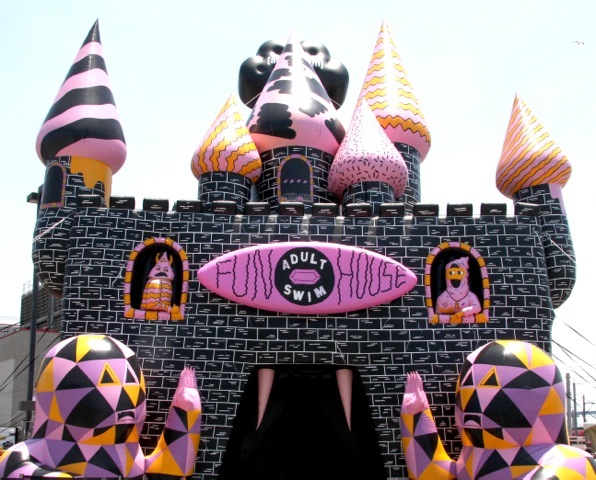 Broadcaster Adult Swim turned to its in-house design team Creative Group to make a giant inflatable Fun House paying homage to all its shows. 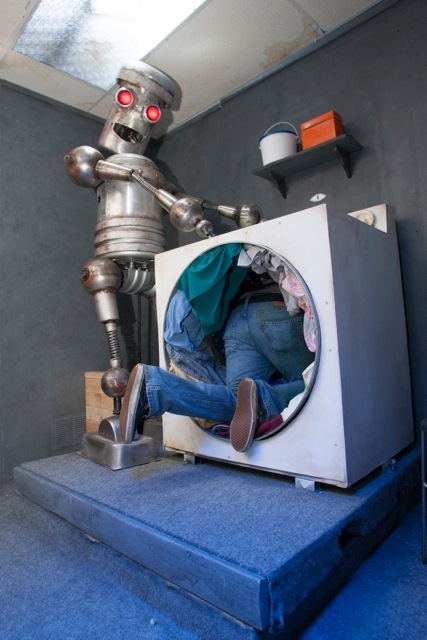 It first made an appearance at Comic Con in San Diego in the US and is now making its way round the country on the Fun House 2014 College Tour. Within, lies a series of rooms referencing shows such as Aqua Teen Hunger Force, Children’s Hospital, Loiter Squad, Metalocalypse, Robot Chicken, Squidbillies, and more. Surreal to say the least – and in deliberately questionable taste – the Fun House sees participants roam from room to room where they’ll happen across squid tentacles, ‘several gaping orifices’, and crawl through a TV set which leads to ‘an adult baby crib,’ where there ‘may or may not’ be someone dressed as a giant baby according to Adult Swim. 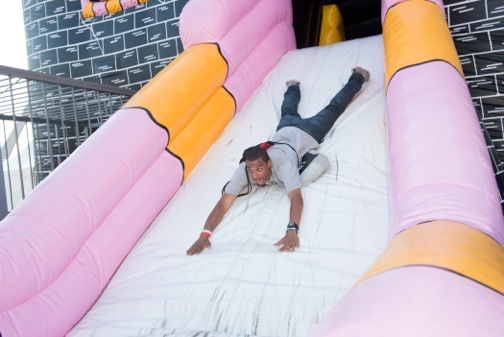 You can also crawl through a washing machine and ultimately happen across one of three exits: a pair of inflatable legs – allowing you to be born again – a giant slide, or a prison cell, which only opens up if you sing karaoke. Adult Swim says, ‘Each visit promises to be a new experience for fans. Once a guest has made it through, however, the fun continues outside as well.